A prototype of Walmart’s Neighborhood Market recently opened in Myrtle Beach, SC and the new contemporary design is more than green and fresh. With polished granite floors replacing traditional vinyl commercial tiles and wider aisles inviting shoppers to move unencumbered throughout the store, the newly designed 46,000 SF feels more like an open-air market than a traditional Walmart store. These are just a few ways Walmart is continuing to reimagine its already successful, sized-down neighborhood market stores. What is a Walmart Neighborhood Market? About one-fifth the size of a Walmart Supercenter, Walmart Neighborhood Markets average about 43,000 SF and have been filling in local markets throughout the U.S. since 1998. With a focus on fresh and organic produce, meat, and groceries (thus the “green” signage as opposed to the traditional Walmart blue), they also include a full-service deli, pharmacy, in-store bakery, and made-to-order pizzas. Neighborhood Market stores also offer fuel stations and free store pickup services for online orders. It is common to pull in and see friendly Neighborhood Market associates delivering orders directly to customers’ cars. As of January 31, 2017, Walmart listed 699 U.S. Neighborhood stores covering 29,407,773 SF, and there aren’t signs of slowing down. With this kind of footprint already claiming ground and retail space in small towns and large cities throughout the U.S., this is a trend worth watching. Another reason to be aware of the continued growth of these neighborhood markets is to glean valuable lessons from their experiences. Walmart’s success with smaller stores isn’t simply because of size. More important to the success than square footage is the offering. By targeting value-focused shoppers, integrating technology into the shopping experience, using additional customized signage, and increasing their private label over brand presence, Walmart Neighborhood Markets are reaching a broader range of shoppers. How might this impact retail? Smaller neighborhood market stores, although smaller only relative to Walmart’s “supercenter” predecessors, seem to be courting the new generation of shoppers, and well. Offering convenience, fresh (and often local) produce, and digital initiatives is Walmart’s response to the evolving and expectant market. 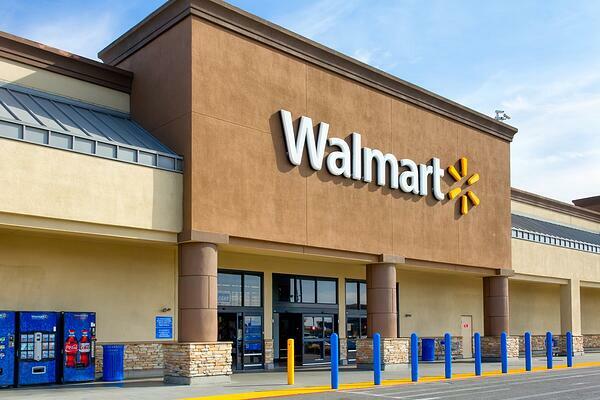 A Forbes “Great Speculations” contributor believes Walmart’s focus on neighborhood market stores will continue to drive Walmart’s overall revenues. More revenue for Walmart, especially derived from local neighborhood stores, can mean less revenue for traditional grocers and other retailers in the same areas. Phalguni Soni, a retail analyst at Market Realist, suggests that Walmart rolling out smaller stores in urban areas “would crowd out smaller players and neighborhood stores,” which are mainly grocery stores and “lower-dollar items.” She further cautions that even pharmacy chains like Walgreens, CVS, and Rite Aid stand to be affected by a Walmart Neighborhood Market moving into a neighborhood.